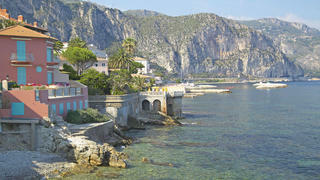 Captain David Pott of 56 metre The Wellesley reveals all of his secret spots to remind you why taking your superyacht to the Côte d’Azur is a love story for all time This is my favourite beach, across the bay from Beaulieu-sur-Mer it is perfect to visit whether on a private yacht or enjoying a luxury yacht charter in the French Riviera. Go ashore for lunch and head to the casual restaurant Eden, where rosé and platters of fresh seafood set the tone. This is my favourite beach, across the bay from Beaulieu-sur-Mer it is perfect to visit whether on a private yacht or enjoying a luxury yacht charter in the French Riviera. Go ashore for lunch and head to the casual restaurant Eden, where rosé and platters of fresh seafood set the tone. This bay outside Antibes is an often overlooked anchorage (just watch out for one or two shallow areas). 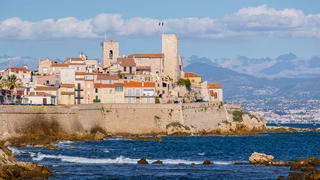 In good weather you can get close to the dramatic ramparts of the old town of Antibes, an awesome backdrop. And it is ideal if guests want space to play with water toys — there’s less traffic and you can hire pretty much anything that floats from companies nearby. 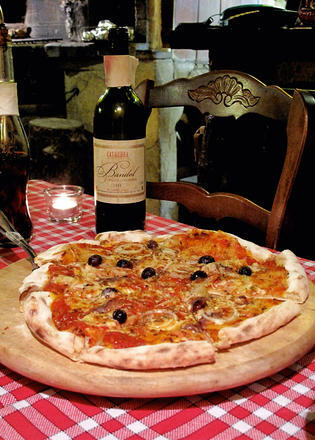 For a great, offbeat, hole-in-the-wall restaurant in Antibes try this charming pizzeria, one of the best rustic restaurants in the Mediterranean. Run by an elderly couple, it seats no more than 20 people and serves the best beef fillet, cooked in a wood-fired pizza oven. During the season, plan ahead and get a seat on the rocks close to the water in front of Château de La Napoule for an unmissable view of this town’s spectacular firework display. 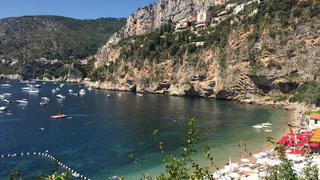 Driving to the little town of Èze takes time and effort but it is worth it. Make sure the weather is perfectly clear to appreciate it the most. 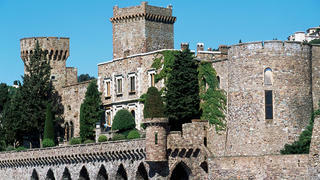 I recommend Le Château Eza if you are happy to pay for exceptional service and the best view on the Riviera, but it is vital to book. Be aware of a southwesterly swell; it can be unforgiving because there are not many protected anchorages. This is the best place to hide if you get caught short – the port may be small but it has lots of restaurants worth eating at.